I am 43 years old and I received a gift from my mother recently. I arrived home from work to have my wife present me with a gift my mother had dropped off for me. 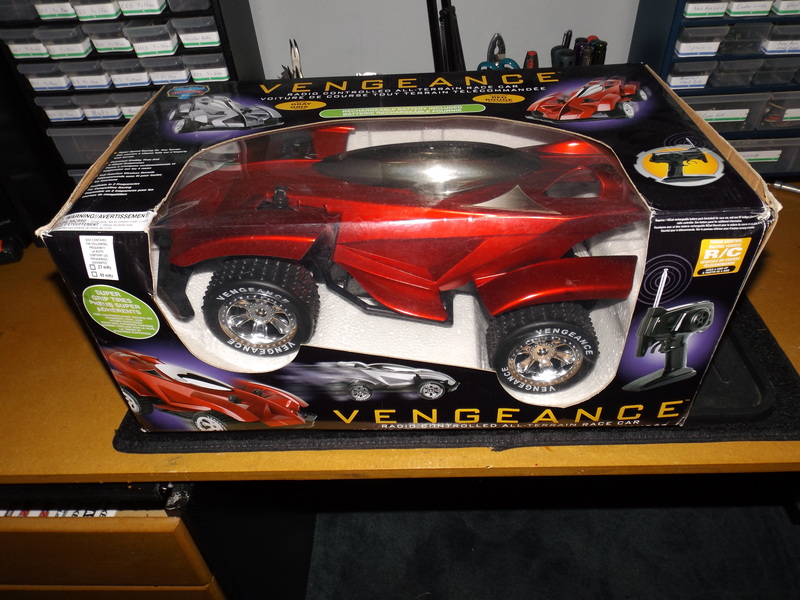 It was a RC car, a VENGEANCE, made by the Blue Hat Toy company. It immediately brought a smile to my face. I called my mother to thank her, she was worried that it wasn’t the right type of car. I assured her that it was, even though the transmitter uses one 9 volt battery, the tires are hard plastic, not to mention I can’t even remove the body. It wasn’t a Traxxas Slash 4×4, or a Team Associated RC8.2e FT, it is what is considered a Toy Grade RC. It will never hold its own with a Hobby Grade RC and sadly I can’t buy parts to repair it when it breaks, but this is worth so much more. This holds memories of me being a young kid and getting my first RC from Santa Claus. 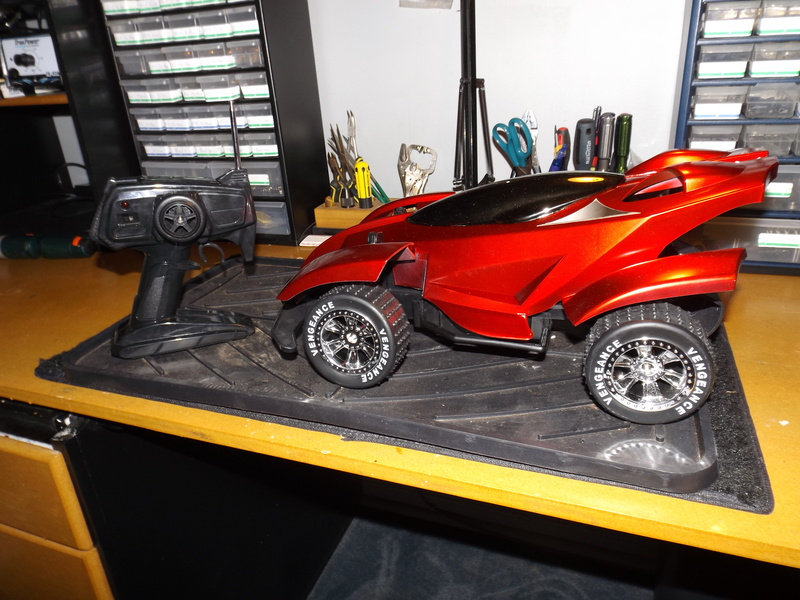 I had a blast ripping that Sears Lobo around the house and it launched what is still to this day my RC Addiction. Although this will never compete with the big boys at the track, it is a great reminder of my beginnings in this hobby and a reminder that Mom will never stop trying to please her little boy. It will definitely have a special spot on my RC wall and in my heart. Thanks Mom! 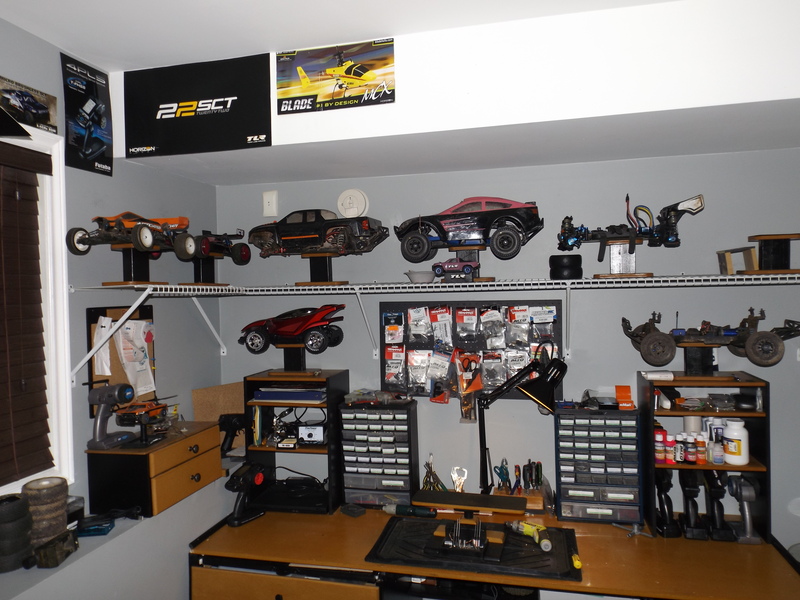 Oh and in case you are wondering, I did play with it before I put it on my RC wall.